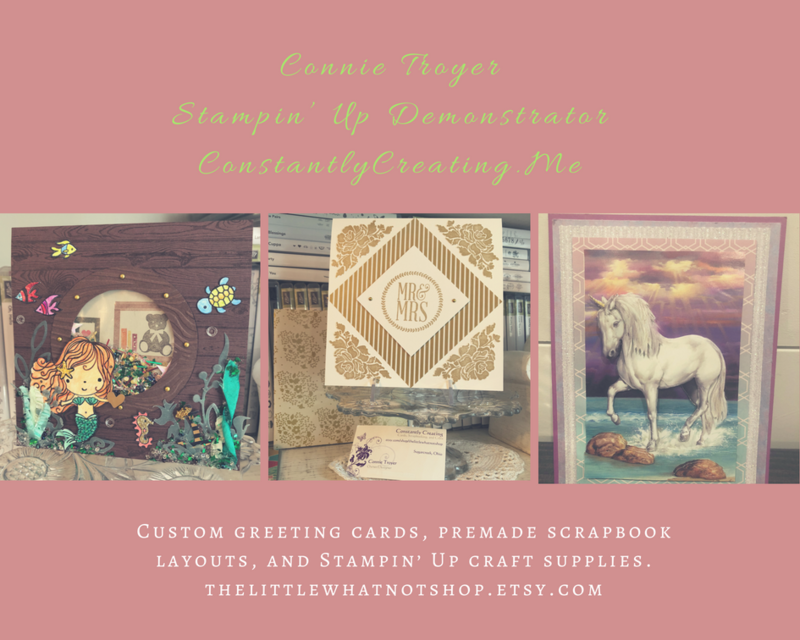 Waving hello from the Stampin’ Up! Onstage event in Charlotte, NC! Today we get to see and touch some of the new products from the upcoming 2019-2020 Annual Catalog and do a little stamping too! Every time we get together for an event like this, I give a little gift to the team members that attend. I used the Time for Tea stamp set budle to make some gift tags for my team member’s gifts! I started by punching panels of Needlepoint Nook DSP with the Scalloped Tag Topper Punch. I cut another panel of the Needlepoint Nook DSP with the larger round die from the Spot of Tea Framelits Dies and I adhered it with SNAIL to the tags. I added a smaller strip of the Needlepoint Nook DSP over the die cut circle with SNAIL. I stamped the sentiment and flower images from the Time for Tea photopolymer stamp set in Night of Navy, Old Olive and Poppy Parade inks on a panel of Very Vanilla card stock. I used the Spot of Tea Framelits Dies to cut the pieces out, Glue Dots to adhere the flowers and Stampin’ Dimensionals to adhered the circle die cut to the tags. You can see a list of supplies used to create this tag, including card stock cuts, at the very bottom of this blog post. Stampin’ Up! CentreStage Event & 2019-20 Annual Catalog Sneak Peeks! I was lucky enough to have two of my team members who were able to attend the CentreStage event with me on Friday evening. This is a special event for Demonstrators who hold the title of “Silver Elite” or above and we were treated to a yummy dinner and a little bit of training. Inside the bag was a fantastic stamp set called Daisy Lane and it coordinates with the current Daisy Punch…plus there is a new layering punch called the Medium Daisy Punch in the catalog that coordinates with the smaller flower. Yay for layering options! 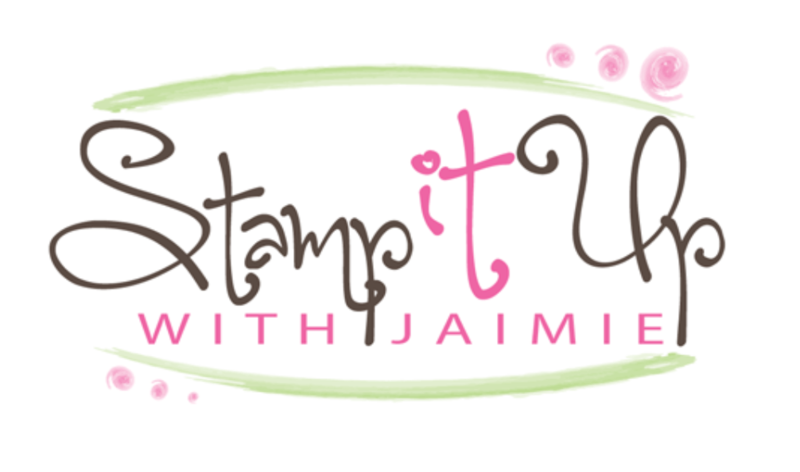 We also got our new copies of the new Stampin’ Up! 2019-2020 Annual Catalog! YIPPEE!!! So many beautiful things! I can’t wait for you all to see it!! As we were leaving the CentreStage event, we got another gift! A pretty clutch. And inside the clutch was an awesome new punch called the Timeless Label Punch! Having a great time so far! Can’t wait to see the rest of my team member and more goodies from the catalog today!!!! This entry was posted in For a Friend, For You, Thank You and tagged gift packaging, gift tag, OnStage 2019, Time for Tea. Bookmark the permalink. Awesome goodies and glad you all made it safely to CS. OMGosh! I am SO excited! Thank you for sharing – and your bag is so much more beautiful than the SU one! How fun!! Thanks for sharing the sneaks – love the gift you have for your awesome team members 😀 Hope you had so much fun, can’t wait to hear more about everything. Looks like a great trio! Hope you are full of new ideas to share, and what awesome gifts! Love that the Daisy punch will work with the new stamp set. Gotta love that stamp set. (And probably MANY more!) I hope everyone on your team had a great On Stage wherever they went. I am just sorry I couldn’t go. I just got home from my all day event here.